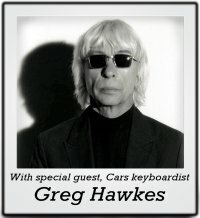 The Cars arrived on the music scene in the late 70's (around '78/'79) and quickly changed the style of the hit music of that period. They led the way into the new sound of the 80's music era. They continued to be a prominent force into the late 80's and were a fixture on the radio as well as MTV. Along the way they sold millions of albums and had 30 hit singles to their credit. There weren't many bands more successful at the time. Their music was fresh, upbeat, and fun... and it was Rock & Roll! You'd have a hard time finding anyone who doesn't like the Cars!... Their music still gets regular radio airplay and their You Tube videos continue to get millions of hits. There is still a huge audience for the music of the Cars. 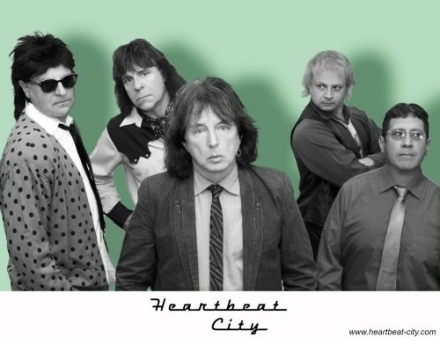 Named for one of the Cars biggest selling albums, Heartbeat City faithfully re-creates the look and sound of the Cars. They dress in the period-correct 80's style of the Cars and, being accomplished musicians, their sound is amazingly close to the real thing! 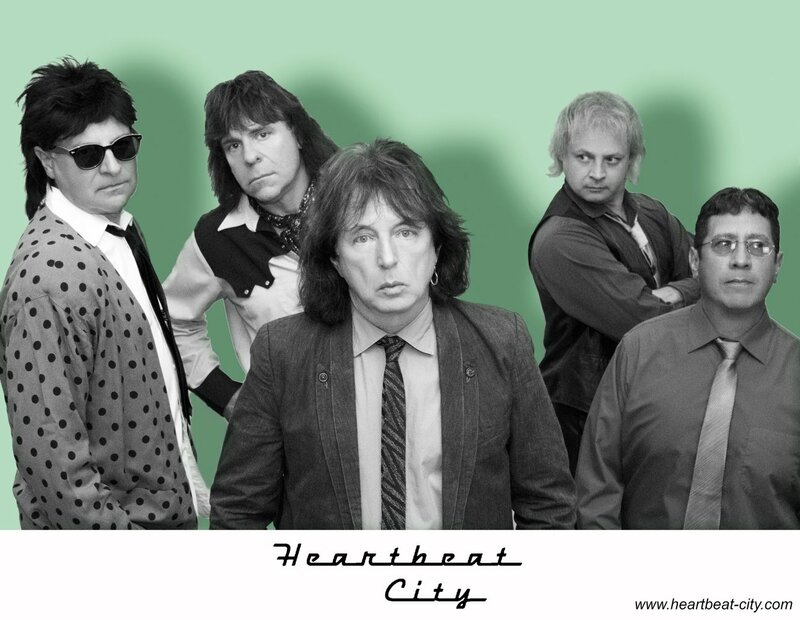 Seeing Heartbeat City is as close as you can come to seeing an 80's Cars concert. The members of Heartbeat City have come together from a few different well-known national level Tribute acts, as well as some pretty famous 80's recording acts... On the Tribute scene, various members have worked with Hotel California - a Salute to the Eagles, Wild Child - a Tribute to the Doors, Belladonna - a Tribute to Stevie Nicks/Fleetwood Mac, Get Back with the cast of Beatlemania (featuring members from the Broadway cast and movie), Blue Order - a Tribute to New Order, and many more. On the recording front, members have come from 80's recording acts like Mastedon (former Kansas members), Berlin, Survivor, and have recorded on the 80's classic movie soundtrack St. Elmo's Fire along with many other movie soundtracks and film & television placements... plus they have worked with dozens of other recording acts too numerous to list. This band has a solid background in the music business! Because of the past history of Heartbeat City's members, you can always expect to see a high quality, professional show. This band is quickly becoming a favorite in venues all across the Country. Why not see for yourself?... LET THE GOODTIMES ROLL! Heartbeat City is pleased to announce we now have original Cars keyboardist Greg Hawkes available as a special guest. For a small fee increase, this is an exciting addition to our show. Contact us for details.